Kitchen Transformation: Style Your Kitchen on a Budget - Susan Said... WHAT?! Want to style your kitchen like a pro? Unfortunately, the expense of a total gut job and kitchen remodel often keeps a kitchen transformation at the bottom of a homeowner’s To-Do List. But, a total remodel often isn’t needed. Even on a small budget, any kitchen can benefit from a facelift, bringing in some updated looks, life and color. 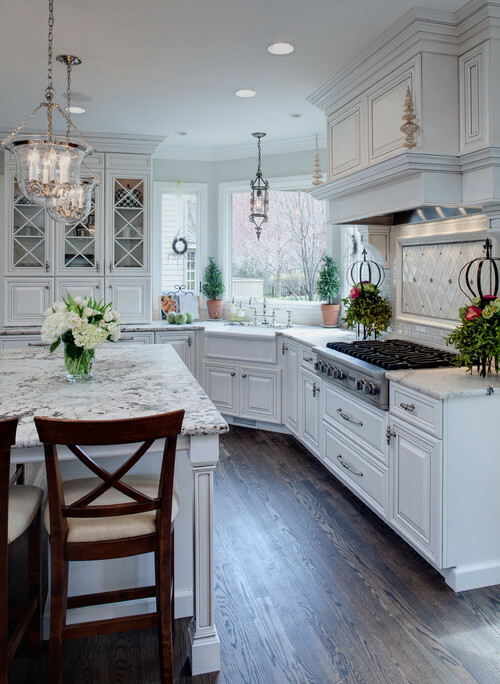 Use these tips to style your kitchen. When was the last time you repainted your kitchen? Your kitchen paint actually fades and discolors faster than in the other rooms because of the heat and steam. 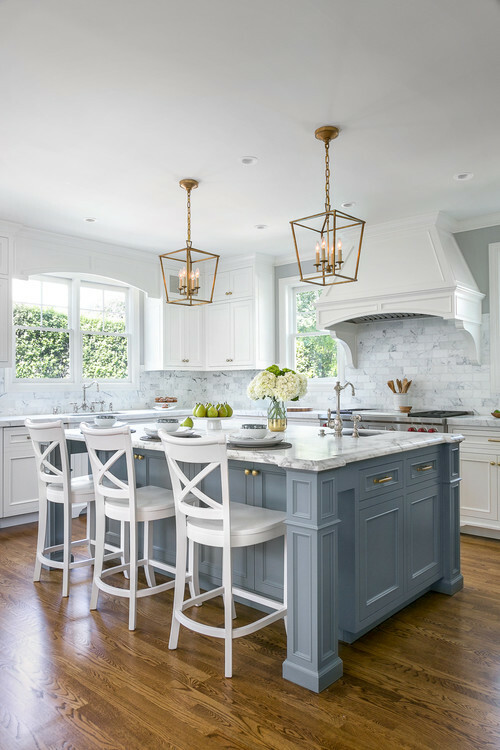 A paint job is the easiest way to transform your kitchen and bring some life to it. Choose a color that complements your kitchen cabinets and appliances, but be creative in your choice of color. For example, I painted a dramatic navy blue wall behind my pure white cabinets and it made such an impact! Brighter colors are livelier and create the kind of warmth and friendly ambience that would make the space feel more homey. Chances are your counter and cabinets are filled with items you seldom use. These may be electrical appliances that you use infrequently, or even obsolete electronics (when was the last time you actually used an electric can opener or panini maker?). These may also be spices and ingredients that you no longer need. Then, neatly arrange everything else as you style your kitchen countertop. Washing your dishes immediately after your meals helps keep the kitchen clean and odorless. A garbage disposal really helps. Find reviews for the best disposals at Mr Garbage Disposal. You can change certain aspects of your cabinets like their color, pull, panels, or overhaul the entire structure. It really depends on your budget and preferences. The small ways to transform the appearance of cabinets include repainting doors or simply replacing old handles with new stylish ones. I easily swapped out our old-fashioned brass pulls for sleek, brushed nickel versions in an afternoon. You can also replace your wooden cabinet doors with glass (or vice versa), or create a hybrid, by eliminating upper cabinets and replacing them with open shelving. Do you have easy, inexpensive tips, too? Please share!